It was a cold, rainy Christmas Eve, and I was more than a little down. It was our fourth Christmas season without Dad, but it seemed to be the most difficult one yet. The season seemed to sneak up on me, and I was totally unprepared. The weather was horrible. And quite frankly, I just wasn’t feeling the spirit of Christmas. All of that changed as I pulled into the driveway that afternoon. Something on the front porch caught my eye. It was a large snowman bird feeder, complete with a large red bow. I figured someone had left a gift for us, and I walked in through the front door to check it out. I broke down in happy tears, touched that someone had thought of us in such a delightful way. Our anonymous Santa blessed us with magic of Christmas that we were so lacking, and to whoever they are, I thank them profusely. I can’t wait until next Christmas Eve to return the favor. 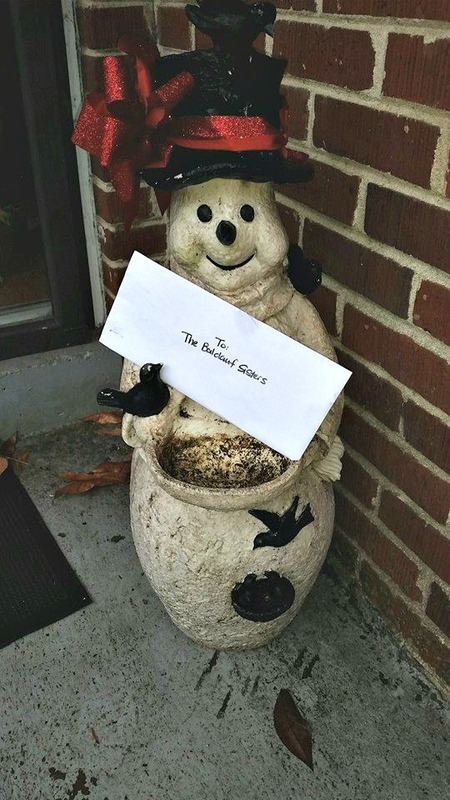 This entry was posted in Christmas, Holiday Season, Holidays, Mary Pat Baldauf and tagged Christmas, every woman blog, lexington medical center., mary pat baldauf, Pay it forward by lexingtonmedicalcenter. Bookmark the permalink. What a cute idea and great gesture!